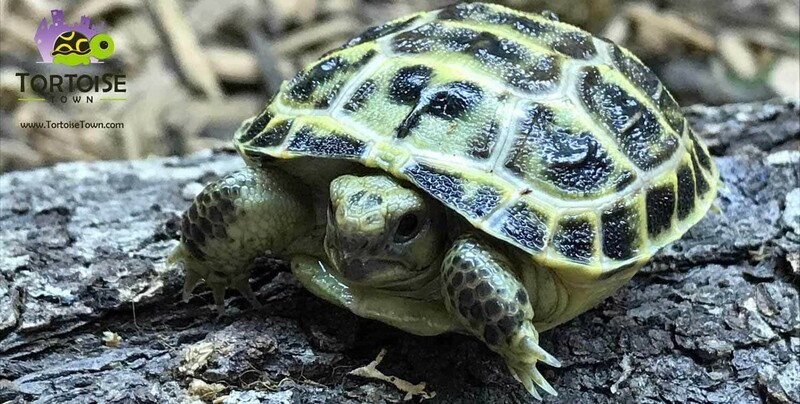 Pardalis Pardalis also known as the Giant South African Leopard Tortoise – This subspecies of Leopard Tortoise grows much larger than the more common Pardalis Babcocki Leopard tortoise for sale. They also have very high speckling throughout their skin and double dots on their shells most of the time inside each scute. When compared to the more common pardalis babcocki leopard tortoise for sale, the giant south African leopard tortoises are typically much more outgoing and personable from a young age, whereas the more common leopard tortoise for sale, the babcocki is timider and takes time to warm up to its new owner. Giant leopard tortoises for sale have great personalities! Giant South African leopard tortoises for sale are not nearly as common as the more well known regular leopard tortoises for sale, and therefore are a bit higher priced from giant south African leopard tortoise breeders. 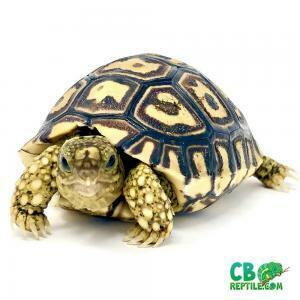 When looking for a giant south African leopard tortoise for sale online, consider only purchasing from a captive bred baby leopard tortoise breeder, like CBReptile.com! 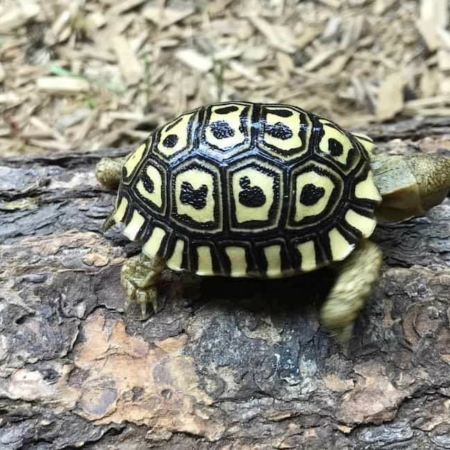 Leopard tortoises are some of the most beautiful of all tortoises for sale. 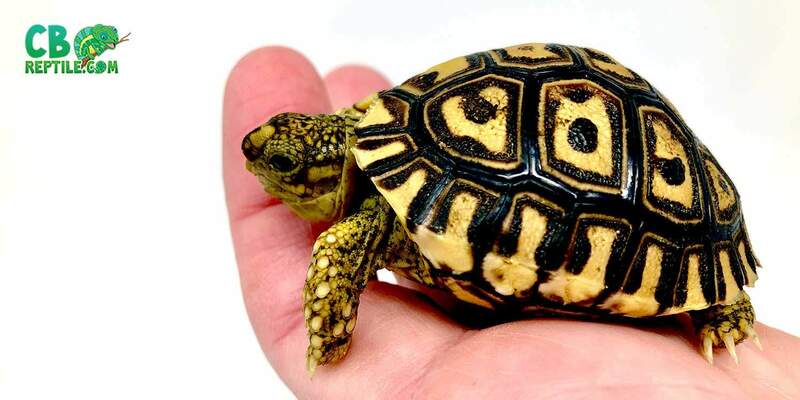 When considering any tortoise for sale, or turtles for sale, captive bred baby tortoises for sale and turtles for sale should be your only consideration instead of wild caught. Some of the best tortoise breeder in the world only work with captive bred animals. 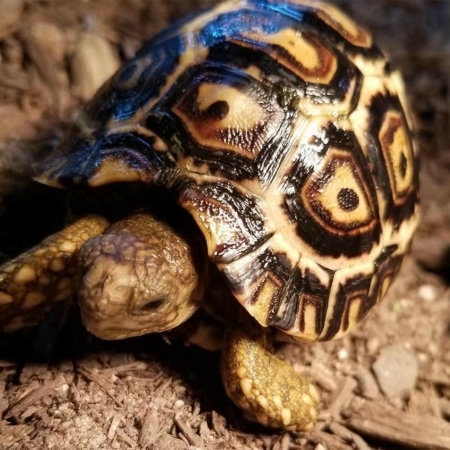 Whether it be huge sulcata tortoise for sale, or small russian tortoise for sale, we are your source for the best of the best!